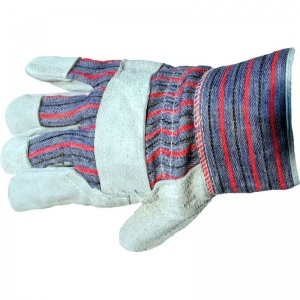 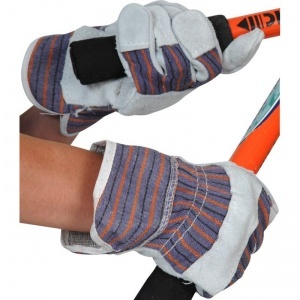 The Split Leather Rigger Gloves USTRA are standard split leather riggers with striped cotton back. The Split Leather Rigger Gloves USTRA feature pasted cuff and leather knuckle strap. 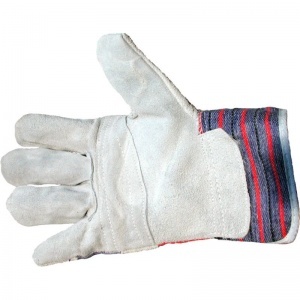 The Split Leather Rigger Gloves USTRA have an economical style for a variety of low risk applications. 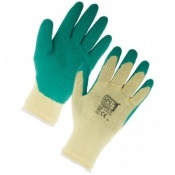 The product code for these gloves is USTRA. 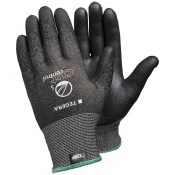 The Split Leather Rigger Gloves USTRA are available in a single size for men that should be suitable for the vast majority of users. 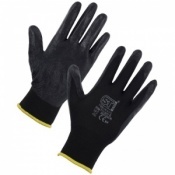 These gloves are designed to not be tight on the skin and to offer greater room for comfort.